This item has been discontinued. 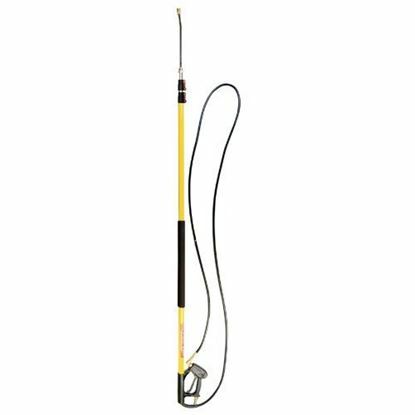 Please consider part # 85.206.024SHDL - 24' Heavy Duty Fiberglass Telescoping Wand on our sister site. Clean areas from 9 ft up to 24 ft high without the use of a ladder. 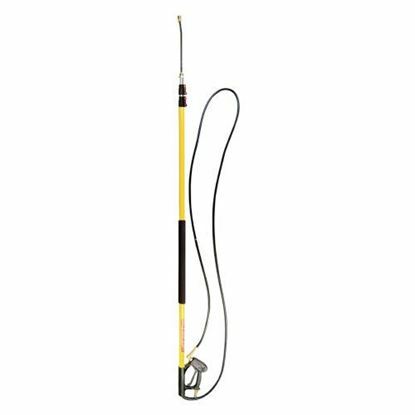 The telescoping wand is ideal for cleaning second story walls, gutters, soffits, and many other hard to reach areas. The lightweight fiberglass construction makes the longwand easy to hold, and the screw-type lock ensures that the poles will not move or slip during operation. Make your cleaning jobs even easier with optional longwand accessories such as a gutter cleaner, rotating brush, and belt kit. Easily clean rooftops and tough to reach areas with a telescoping wand. Threaded gun for quick removal and easy field repair. Two fibreglass outer poles and aluminum inner pole for maximum strength. 3/8" hose for maximum chemical draw. Lightweight design includes a belt kit which helps reduce operator fatigue.